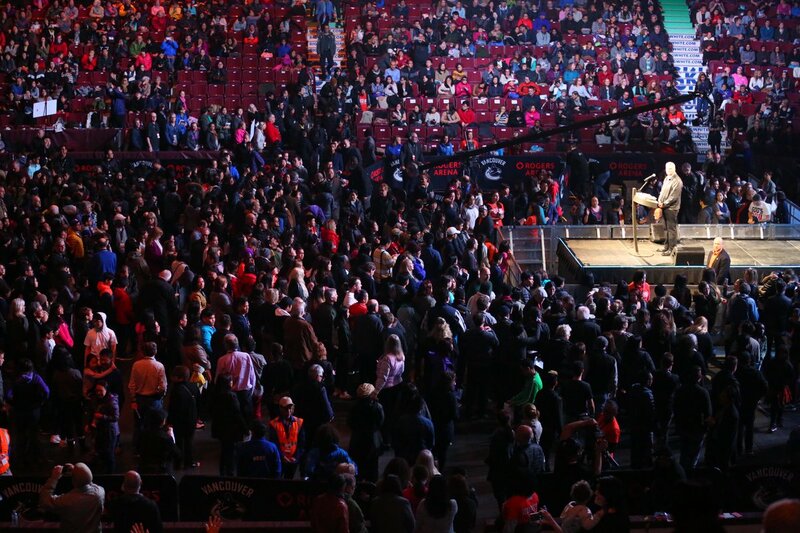 What an amazing weekend at the Greater Vancouver Festival of Hope. Over the three nights, 34,406 people attended in person, with 1929 people going forward to make a commitment to Christ. On top of that, 65,429 people from seventy-six countries watched the Festival of Hope online, with 389 people making a commitment to Christ online. We are rejoicing for lives that have been touched for eternity. It was such a privilege to serve on the Festival of Hope Executive, led by Pastor Guilio Gabeli with the invaluable wisdom of the Festival Director David Ingram. The Billy Graham family and the Billy Graham team are such quality people. We are particularly grateful for Dion and Tammy Collins who served on the ground as Assistant Director and Office Manager. An unexpected treat was to have the grandson of Billy Graham, Will Graham, join his Dad Franklin Graham for the Festival. This was Will’s third time here, since he helped us kick off the Festival and then led 500 young people to Christ at Vancouver Missions Fest this January.